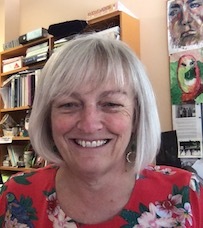 Kathy has worked as an English/History teacher in Queensland and NSW and as a result has moved into the area of Teaching and Learning within the School of Education. During this time she has led the Teaching and Learning Team for a lengthy period and has also been a very active member of the School and University community. Learning and Teaching, The Graduate Teacher, which entails preparation for teaching in rural/remote schools as well as for casual work. Casual Teaching, Teacher Education, Education for Sustainability, Peace Education, Cooperative Learning. Jenkins, B., Jenkins, K., & Cornish, L. (2013). A Peace Curriculum for Bougainville, University of Peace Press, San Jose, Costa Rica. Subedi, D.B., Jenkins, B., & Jenkins, K. (under contract and being finalised), Reconciliation in conflict-affected communities: Experience and insights from the Asia-Pacific, Springer Publications. Jenkins K., Taylor, N., & Reitano, P. (2015). Listening to Teachers in the ‘Bush’. In L. Graham & J. Miller (Eds. ), Bush Tracks: The Opportunities and Challenges of Rural Teaching and Leadership, (pp. 41-56). Rotterdam, Netherlands: Sense Publishers. Jenkins K., Taylor, N., & Reitano, P. (2015). Teaching Principals’ Stories, In L. Graham & J. Miller (Eds. ), Bush Tracks: The Opportunities and Challenges of Rural Teaching and Leadership, (pp.119-134). Rotterdam, Netherlands: Sense Publishers. Jenkins, K. (2015). How to Teach Education for Sustainability: Integrating Theory and Practice. In N. Taylor, F. Quinn & C. Eames (Eds), Educating for Sustainability in Primary Schools: Teaching for the Future, (pp. 33-44), Rotterdam, Netherlands: Sense Publishers. Cornish, L., & Jenkins, K. (2015). Teaching Principals: The ‘I’s have it. In L. Graham & J. Miller (Ed. ), Bush Tracks: The Opportunities and Challenges of Rural Teaching and Leadership, (pp.135-156), Rotterdam, Netherlands: Sense Publishers. Jenkins, K.A. (2013). Are we Preparing Pre-Service Teachers for the Reality of the Present: Casual, temporary and/or permanent employment? In D. Lynch & T. Yeigh (Eds), Teacher Education in Australia: Investigations into Programming, Practicum and Partnership, p. 191-205. Brisbane, Oxford Global Press. Harrington, I., & Jenkins, K.A. (2010). The Reality of Beginning Teachers: Trial and Tribulations, In J. Maurer & W. Halloway (Eds), International Research in Teacher Education: Current Perspectives, (pp.265-281), Armidale Kardoorair Press. Jenkins, K., & Jenkins, B. (2009). To Mine or Not to Mine on Bougainville: Linking Peace to the Environment, edited by Taylor, N., Littledyke, M., Eames, C., and Coll, R. in Environmental Education in Context: An International Perspective of the Development of Environmental Education. Sense Publishers. Jenkins, K., Charteris, J., Bannister-Tyrrell, M., & Jones, M. (under review). Emotions and casual teachers: Implications of the precariat for initial teacher education. Journal of Teacher Education. Jenkins, K., & Cornish, L. (2015). Preparing pre-service teachers for rural appointments. Australian and International Journal of Rural Education, 25(2), pp. 14-25. Charteris J., Jenkins, K., Jones, M., & Bannister-Tyrrell, M. (2015). Structural marginalisation, othering and casual relief teacher subjectivities, Critical Studies in Education, 58 (1), 104 -119. Jenkins, K., Taylor, N., & Reitano, P. (2011). Teachers in the Bush: supports, challenges and professional development, Journal for Education in Rural Australia, 21(2), 71-85. Cornish, L., & Jenkins, K. (2011). Partnerships, Assessment and Teacher Development: Attempts to facilitate teacher development through assessment. Asia-Pacific Journal of Teacher Education, 40(2), 159-170. Jenkins, K., & Jenkins, B. (2010). Cooperative learning: a dialogic approach to constructing a locally relevant peace education programme for Bougainville, Journal of Peace Education, 7(2), 185-203. Jenkins, K., Smith, H., and Maxwell, T. (2009). Challenging experiences faced by beginning casual teachers: Here one day and gone the next! Asia Pacific Journal of Teacher Education, 37(1), 63-78. Kennelly, J., Taylor, N., & Jenkins, K. (2007). Listening to teachers: Teacher and students’ roles in the New South Wales Sustainable Schools Program’, Environmental Education Research, 14(1), 3-64. Boyd, J., & Jenkins, K. (2006). Student perceptions of school-based professional experience, International Journal of Practical Experiences in Professional Education (PEPE), 9(2), 32-40. Taylor, N., Kennelly, J., Jenkins, K., & Callingham, R. (2006) The impact of an Education for Sustainability unit on the knowledge and attitudes of preservice primary teachers at an Australian university. Geographical Education, 19, 46-59. McConaghy, C., Cornish, L., Hardy, J., & Jenkins, K. (2006). Bush Tracks: Journeys in the Development of Rural Pedagogies. Journal of Education in Rural Australia, 16 (2), 29-35. Jenkins, K., & Jenkins, B. (2005). Education for Sustainable Development and the Question of Balance: Lessons from the Pacific, Current Issues in Comparative Education, 7(2), April 21 (1-11 online). Jenkins, B., & Jenkins K. (2015). Peace Education in Bougainville: How can less literate participants access the curriculum? First International Seminar of the Cambridge Peace Education Research Group, Where now for Peace Education: Theory and Praxis for the 21st Century, Faculty of Education, University of Cambridge, 23-25 September, 2015. This presentation resulted from an invitation to present our work on Bougainville at the first inaugural seminar of the Cambridge Peace and Education Research later this year. Jenkins, K. (2015). Casual Teaching: A significant Gap in Professional Learning. Conversation on Knowledge for Teaching. Launceston, Tas 11-13th Feb 2015. Jenkins, B., & Jenkins, K. (2014). Educating for Peace: Twelve Dimensions of Peace on Bougainville, 25th General Conference of International Peace Research Association, IPRA on Uniting for Peace: Building Sustainable Peace Through Universal Values, Istanbul, Turkey, August 10-15 (Dr Jenkins and I presented the culmination of this work at International Peace Research Association (IPRA) in Turkey, Aug, 2014). Jenkins, K., & Cornish, L. (2014). Preparing pre-service teachers for rural appointments, 30th National SPERA Conference, 3 Decades on: Reflections upon Rural Education - Achievements, Challenges and Future Directions, University of New England, Armidale NSW 1-3 October 2014. Jenkins, K., & Cornish, L. (2014). 30th National SPERA Conference, 3 Decades on: Reflections upon Rural Education – Achievements, Challenges and Future Directions, University of New England, Armidale NSW 1-3 October 2014. Miller, J., Cornish, L., Jenkins, K., & Hardy, J. (2014). Bush Tracks - Teaching, Leadership and Small School Principals (Symposium Session/Discussion), National SPERA Conference, 3 Decades on: Reflections upon Rural Education – Achievements, Challenges and Future Directions, University of New England, Armidale NSW 1-3 October. Pedagogy for Casual Teachers, Effective Classroom Pedagogy, Cooperative Learning, Teacher Education in Rural and Remote Pedagogy, Education for Sustainability.